Haleakala Tour with Maui Tours, you can save big on your vacation! Find the best Maui Haleakala Tours on Maui at Maui Tours. We offer the best Maui Haleakala Tours on Maui through our Maui Haleakala Tour Operators. The centerpiece of Maui, Hawaii is mighty Haleakala, a dormant volcano that at one time spewed lava across the island, wiping out all in its path. This massive mountain stands at 10,023 feet above sea level, visible from all points on Maui. Haleakala State Park is the most visited tourist attraction on Maui, and for good reason. Aside from just the awe of gazing into Haleakala crater, visitors can enjoy many wonderful tours, including mountain biking tours where you start at the top and coast down to the bottom, great hiking tours, horseback riding tours, ATV tours, and much more. Haleakala is the only place in the world where you can find Silversword, a rare native plant. It is also home to many nene geese, a native Hawaiian bird. Haleakala at dawn can provide visitors with an awe-inspiring view of the sunrise, a memory you'll never forget. 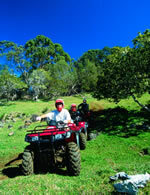 What Maui mountain tour are you interested in? Travel to the 10,023-foot summit of the famous Haleakala Crater in a comfortable luxury Limo-Van. Enjoy a 360-degree view of the Big Island of Hawaii, West Maui and Lanai, and Molokai – not to mention breathtaking panoramas from the rim of the crater! Travel with Polynesian Adventure Tours for sunrise at the summit of the dormant volcano, Haleakala! Take a Maui ATV tour and enjoy exclusive access to a 30,000 acre working cattle ranch, where you’ll experience incredibly diverse terrain as you explore on your own Hawaii ATV! Hike through the spectacular Haleakala Crater – experience it’s grandeur, majesty and vastness! Journey on horseback from the rim of Haleakala Crater at 9,423-feet to the floor of the world’s largest dormant volcano! Enjoy a scenic ride, and a breathtaking hike along the splended terrain of the famous Haleakala Crater. Experience the thrill of a Haleakala mountain bike tour with Mountain Riders – simply the best mountain bike tour on Maui! Enjoy breathtaking scenery as you mountain bike down Haleakala on a smooth downhill glide. Surround yourself in beauty! Experience incredible panoramic views deep into giant green valleys on one side, and miles and miles of cobalt blue ocean on the other. Bike Haleakala Maui with the experts at Maui Downhill. From the summit to the sea, you’ll be amazed at the diverse beauty – the barren lunar landscape of Haleakala’s summit, eucalyptus forests, protea and flower farms, and more! 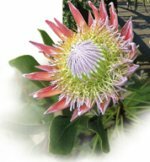 Travel in a luxury Limo-Van to the summit of Haleakala Crater, swim at a beautiful waterfall, visit exotic Protea Farms and Paniolo Country, and take in the sights at a world-famous wind-surfing beach – all in one breathtaking tour! Save up to 50% off on Hawaii Dining, Entertainment, Hotels, and Attractions with the Hawaii Entertainment Book! Maui, Oahu, Kauai, Molokai, Lanai, and the Big Island! If you have any comments, questions, or suggestions for this site, please contact Webmaster. ©2004-2011 JS Web Design - All Rights Reserved.